We have only one complaint about sunrises: they happen too early. Really, who wants to get out of bed before the sun does? And yet, you can’t argue with the beauty of the whole affair. The sky turning fairy floss pink and sherbet orange. 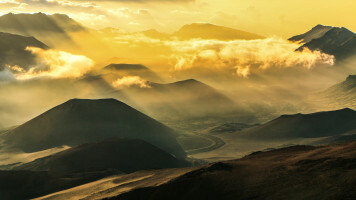 The landscape is gently nudged awake by a golden glow. Light rays beaming through clouds like God himself is behind them getting changed out of his pyjamas. All you need is the right vantage point, and a sunrise becomes a spectacle you’ll never forget. You even feel a kind of awe at the realisation that the sun comes up every single day. And you’re normally sleeping right through it! 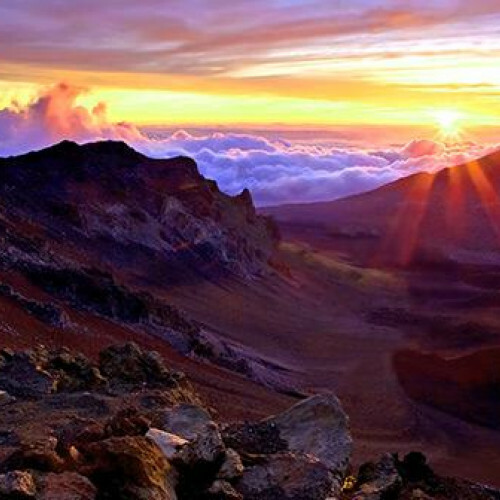 What Makes The Haleakala Sunrise Tour Special? 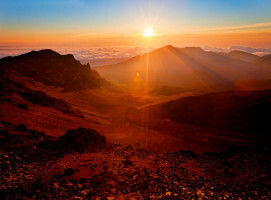 Atop the famous Haleakala Crater, the highest peak on the island of Maui, you’ll breathe in the fresh morning air while getting to witness one of those spectacular sunrises. Forget the beach cocktails: this occasion of natural beauty will be one of the true highlights of your Hawaiian holiday. Plus, with delicious breakfast included, it’ll be a perfect start to your day. You might even decide to get up early more often.